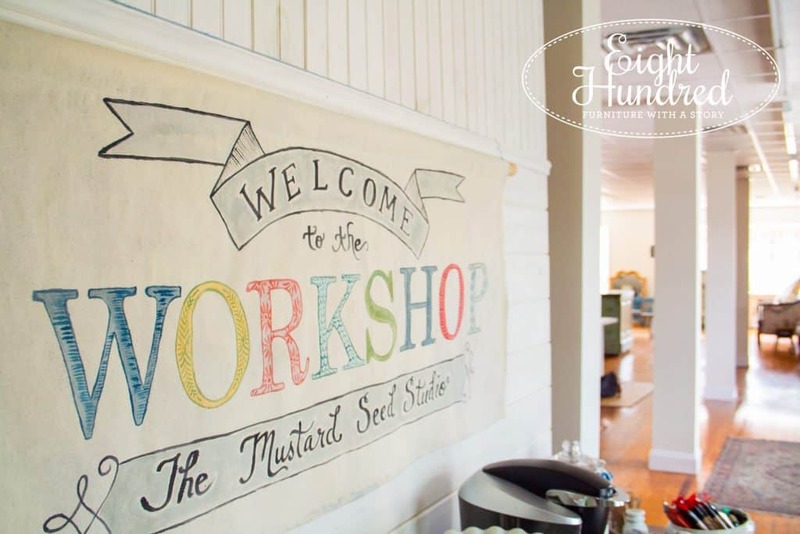 Last week, I spent two days working with Marian of Miss Mustard Seed in her studio up in Biglerville. If you’ve never been there, it’s a total feast for the eyes. 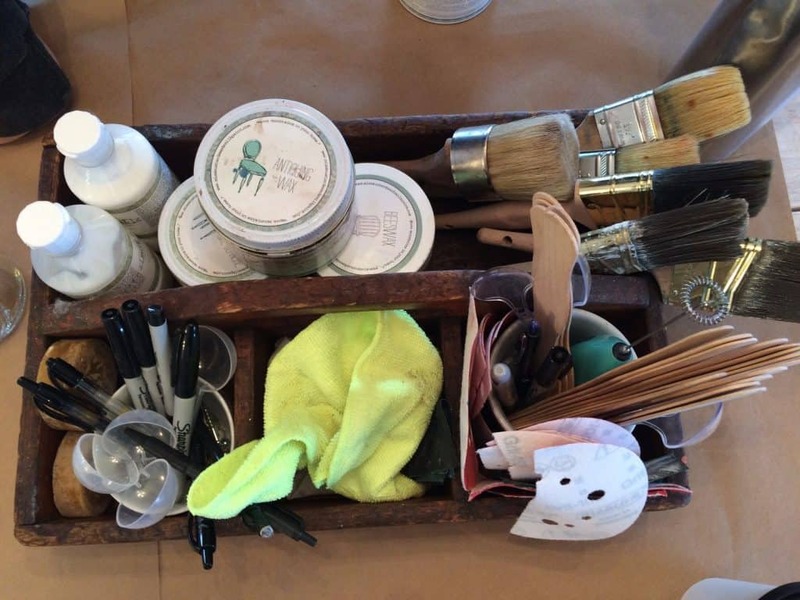 You can’t help the overwhelming urge to pick up a paint brush and get to work! 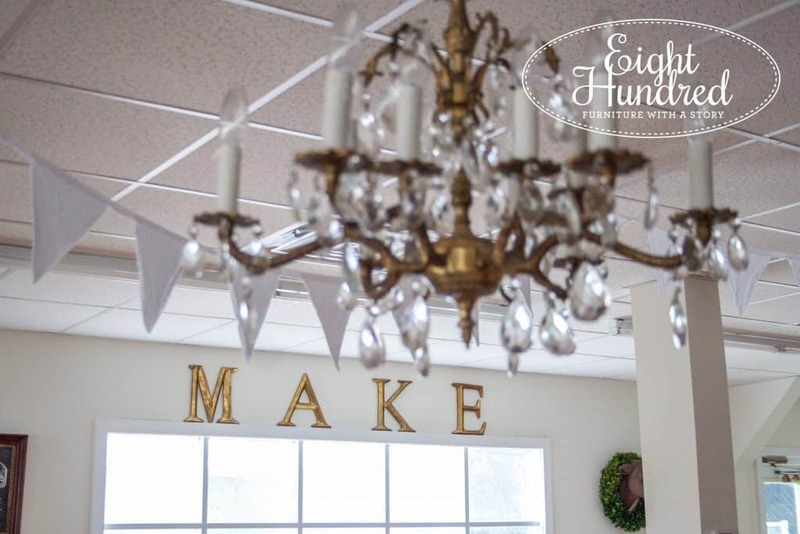 My reasons for going were two fold – one reason was to help Marian prepare for the Lucketts Spring Market. I’ll be working with her in her booth, so if you’re going to come visit, say hello to me too! 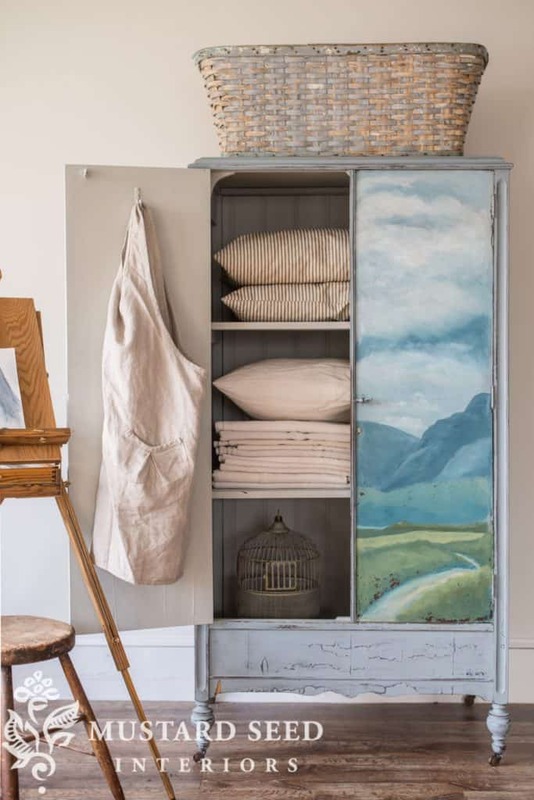 I’ve been lending my hand on some gorgeous pieces, like this landscape wardrobe. I painted the outside in Shutter Gray and the inside in Mora. Now before you start to think that I did that wonderful landscape painting on the doors, check yourself. I just did the inside and outside. Marian took care of the rest! See? Here I am scuffing it to give it some “tooth” before painting it. My second reason for visiting Mustard Seed Studio was to have one-on-one retailer training with Marian. 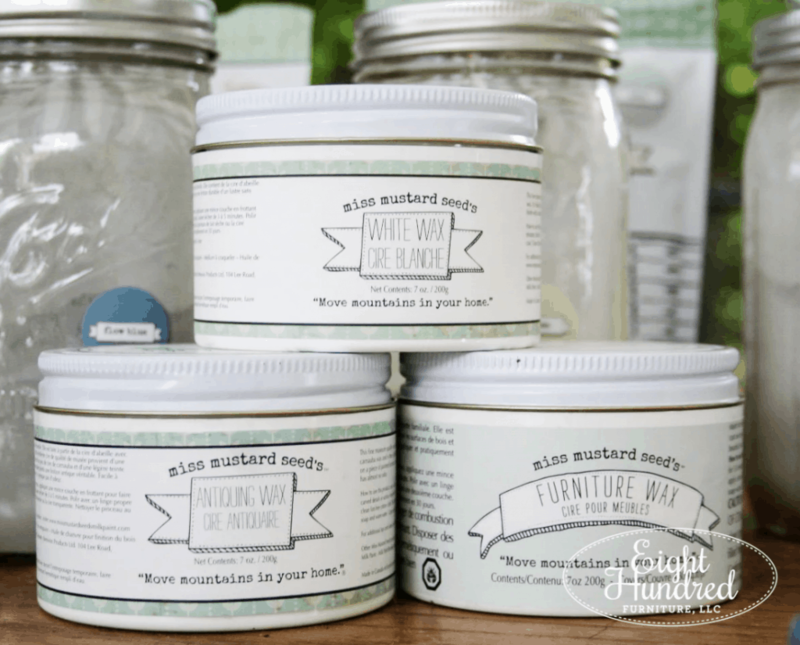 While I’ve been using Miss Mustard Seed’s Milk Paint products for years, there are subtle nuances and inside information that I needed to learn now that I have entered into the retailer role. 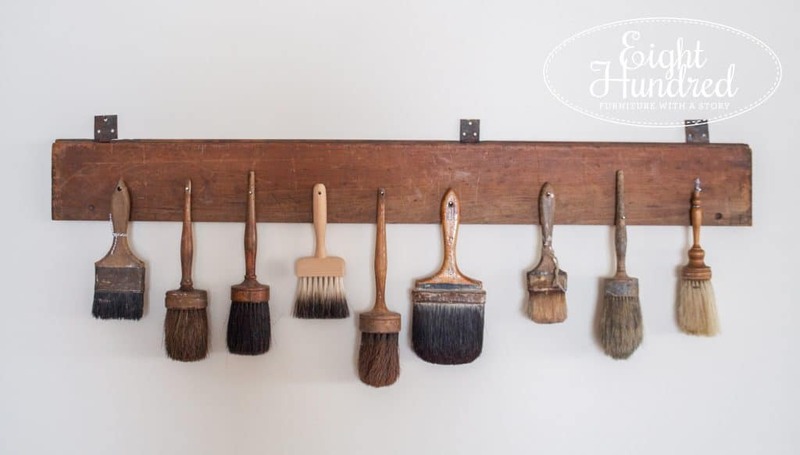 We went over each product one at a time and I gleaned some interesting information about the finishes in the MMS Milk Paint line. 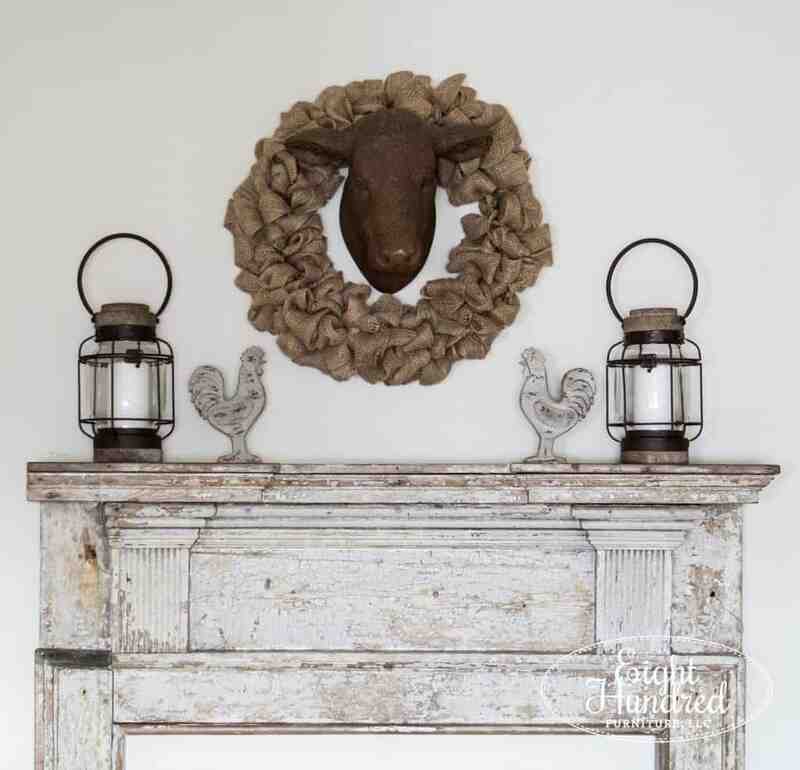 When Marian created her MMS Milk Paint line, she wanted finishes that were LIVABLE as opposed to DURABLE. She is a mother of two boys, so she certainly understands the concept of needing furniture that can hold up to a busy family. She understood that nothing was going to give her absolute protection, so she wanted to create products that were easy to use to maintain furniture over the long haul. Hence, LIVABILITY. Think about it. If your cat scratches your $3,000 dining room table, can you quickly whip out a product that will heal those scratches, or do you have to take it to a professional and spend another $3,000? All of the finishes in the MMS Milk Paint line are LIVABLE, from the waxes all the way to Tough Coat. If you use Furniture Wax on a cabinet, and you get a scuff mark on it, just put some wax on a soft cloth and buff it out. 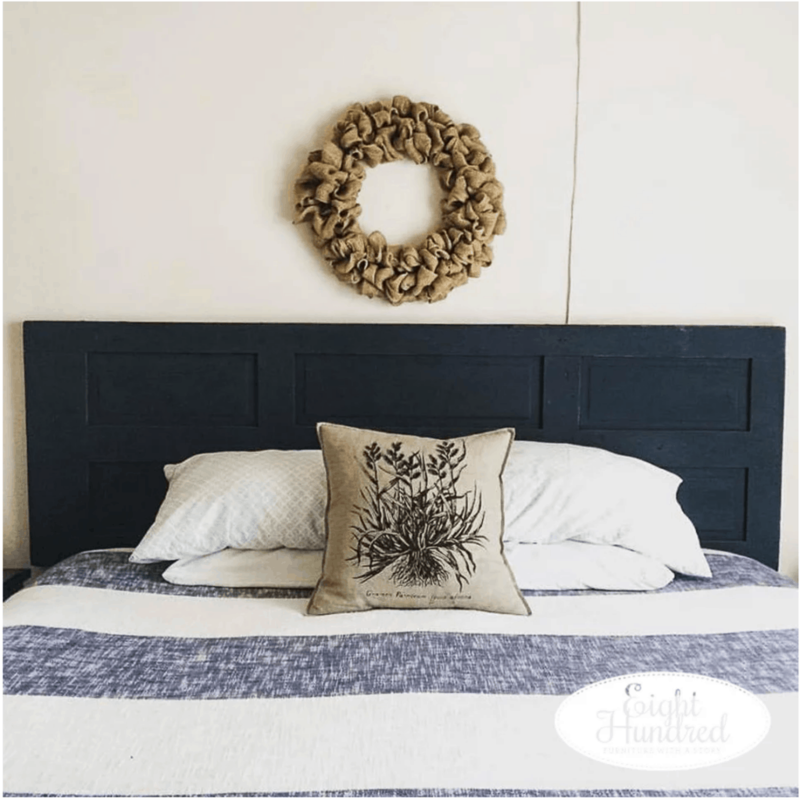 Is your Hemp Oiled headboard looking a bit faded? Apply another coat of Hemp Oil and watch it revive again! You Tough Coated that chippy mantle, but after a year of children bumping into it, you notice it’s beginning to chip again. Apply another coat and it’s good to go! All of these fixes are quick, easy, and require products that you probably already have on hand if you have painted a piece using MMSMP. If you don’t have them handy, there are over 250 retail locations in the United States, Canada, Australia, UK and Europe. There’s bound to be one near you! If not, there are certified online retailers that can ship to you instead! It’s also important to know that the finishes in the MMSMP line can only work their hardest for you if you give them the required 30 days to fully cure. (My last blog post explored the difference between DRY TIME and CURE TIME. They are two entirely different concepts so check that post out for more details.) 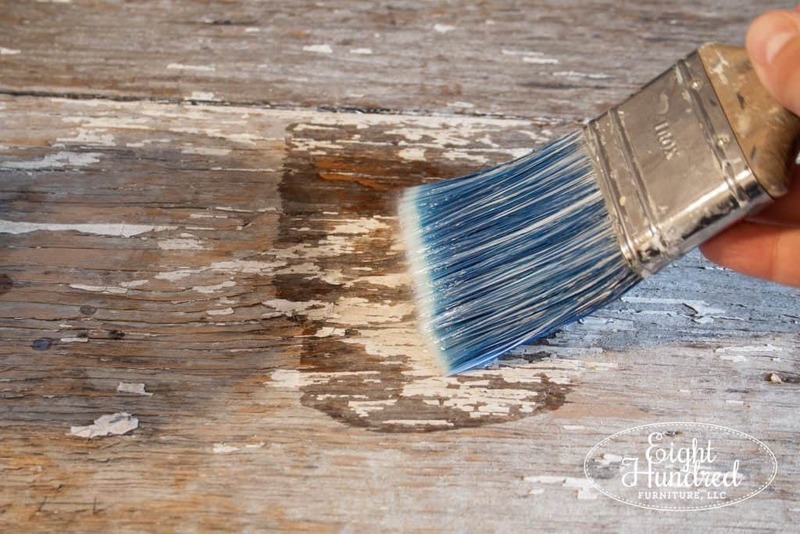 If you Hemp Oil your dining room table top and immediately start using it, you are increasing the risk of damaging the finish before it’s had the opportunity to completely set. 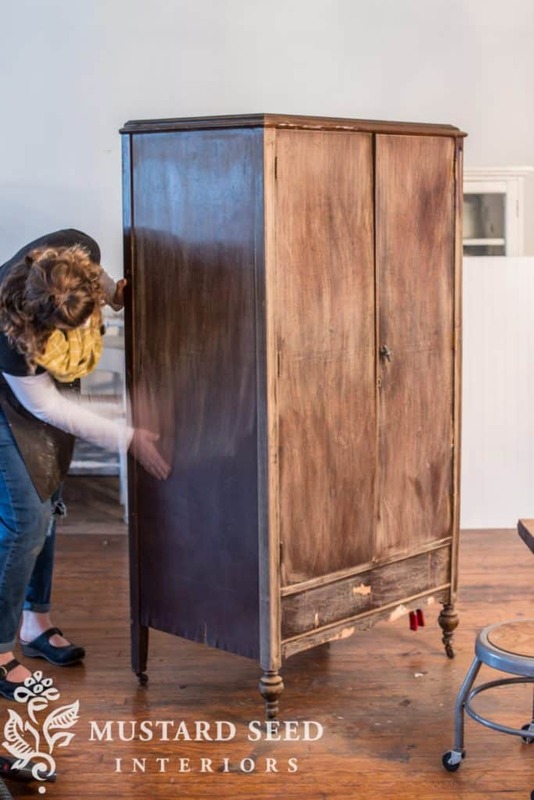 Most damage occurs to furniture within the first 30 days – the cure period – because folks are so eager to begin loving their piece that they wind up loving it a bit too much. 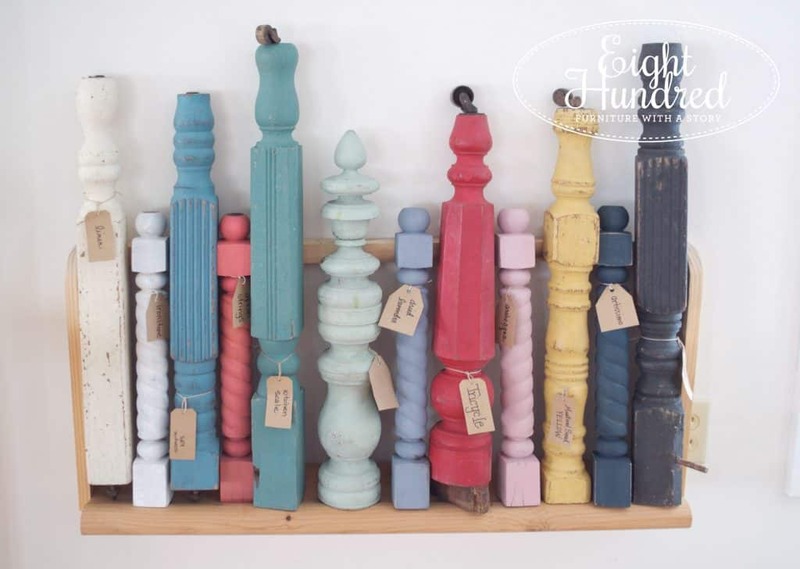 Before you shake your head in amazement that you have to give Milk Paint products this long to cure, 30 days is pretty standard in the paint industry. So the next time you’re wondering if a finish is DURABLE enough for your home, perhaps ask yourself whether it’s LIVABLE instead. Can you easily fix it when it gets damaged? 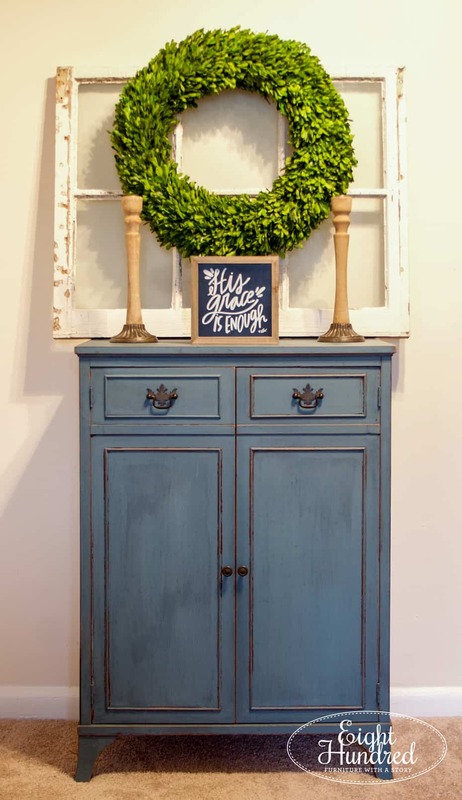 If you’ve chosen MMS Milk Paint products, the answer is yes!